Brockhampton the California based boy band that is on everyone’s radar is back with a brand new collection of merch. Within this vibrant new drop they have many shirts with Saturation branding on it as well as a few pieces with an alternative Brockhampton logo designed by Kevin Abstract himself. Assuming this release is like their previous ones the pieces will only be up for a short amount of time so make sure to purchase as soon as they release. 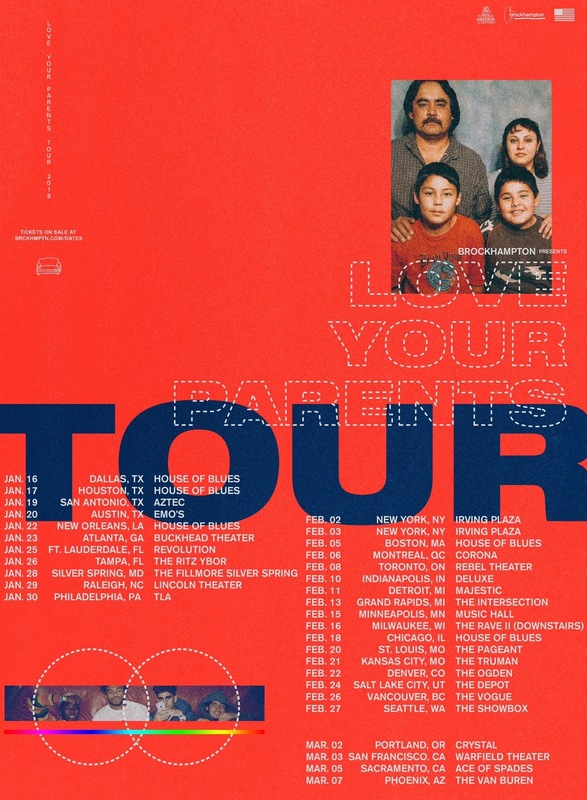 Be sure to follow Brockhampton on Twitter @brckhmptn and also check out their tour dates below to see if they are coming to a city near you.